Tomorrow, May 24, is the 1 year anniversary of the comic. One year ago tomorrow I placed Selkie on the web for the world to enjoy. Been a great year, looking forward to many more! And as a final piece of celebration, I received three adorable fan arts over the weekend! Fiiiiiiisssshhhh… you want to make fiiiiiissshhh breakfast! Ok, now I KNOW I’m going to enjoy any strip with Andi. Seriously, she looks like a fun character to watch. Somehow I’m not overly surprised he broke up with her. It would appear that he’s matured beyond her. I’d imagine there’d be reasons why being a dad would be a turn off for some people. We just don’t know much about Andi right now, which is why I’m eager to find out what she thinks of him! The way he simply says “the adoption” suggests that they´ve been talking about it before… could this perhaps be the reason – or one of the reasons – they broke up? Very nice fan art today. Kudos to the artists! It’s been a year…That’s wow…Seems like I was reading the first 4 strips yesterday before I became a loyal reader hehehe….Please don’t ever let it stop…. Love this! Congrats on one year! 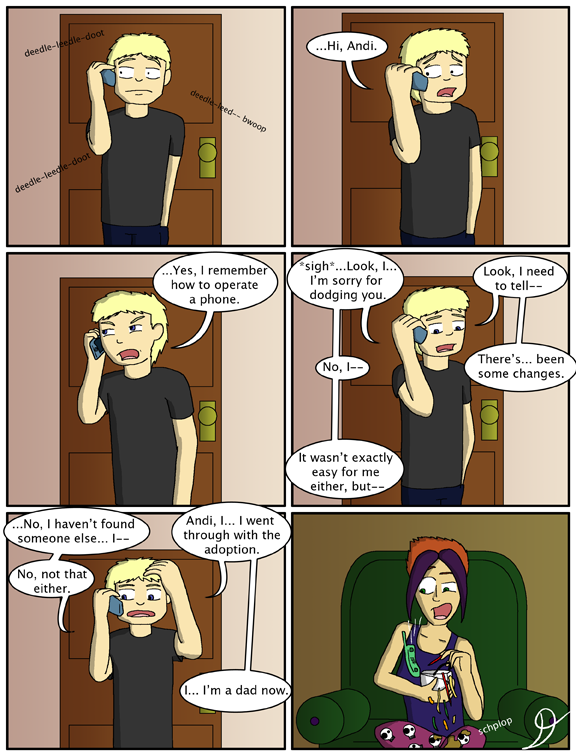 But… what is Andi doing in the last panel?? She was eating chow mein straight from the take-home box when Todd called. goodness one year already? jeeez! now we need more! Now THAT is a character introduction! I hope one of the mini arcs shows selkie waking up next morning. maybe a short bad dream sequence followed by Tod shaking her awake? I like this comic because you can see the exact moment Andi gets a brain Aneurysm… or that’s what it looks like, anyways. Are those Yin-Yang symbols on her skirt? Is that actually even a skirt to begin with, or is she just sitting cross-legged? They’re skulls, and I’m reading it as pyjama bottoms. Skulls? To me they look like sheep. They’re sheep, see the little heads and the tiny legs? Sorry, dry humor from a class I took in high school. Wow, so THAT’S what she looks like. I love how shocked she is after Todd dropped the adoption bomb. I must say, those are some gorgeous pieces of fanart. Heh, great way to end the chapter! Your skills as a writer are definitely growing. Looking forward to learning more about Todd and Andi’s relationship (even though it seems quite over), as it’s a significant event for both characters (and indirectly, for Selkie as well). I have a feeling that Andi wasn’t ready for parenthood and that it was something she and Todd fought over. I just hope she’s not going to take the cliche line of being a total b**** over Selkie… especially when she first sees her. Selkie doesn’t need any more drama in her life right now. Andi is Todd’s ex. There are hints that it was an acrimonious break-up. Aww this is sooo cute! Just based on this one panel of her and my habit of making unfair judgments, I get the feeling Andi and Todd broke up because she wasn’t mature enough for him, and couldn’t handle the responsibility when he brought up the idea of adoption. I’ve heard of worse reasons for a breakup. I agree, and it seems most people do too. I know people IRL that are in their mid-/late 30s and are not mature enough to raise children (but have them anyway). Even if this is the reason for the breakup, at least one of them (or both) recognised that she was not ready emotionaly, or any other -ly you wish to use. Oh look, it’s the 24th! Congratulations on one year of comic-ing! I’ve been following Selkie since page ten or so and have been loving every bit. I’d be very happy to see more comics for us and more success for you. Congrats on the Anniversary of Selkie! About 2 months ago I found Selkie online and my life hasn’t been the same!! Todd is awesome and Selkie is just so endearing!! It’s hard NOT to love this comic! 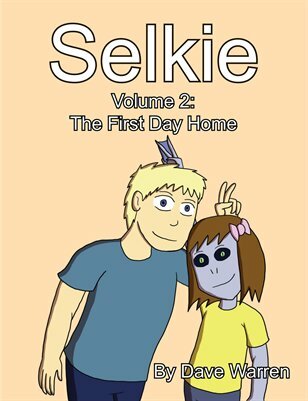 You should make a story arc in which Selkie becomes friends with a goth kid. Of course after she gets to school first. HAPPY ANNIVERSARY! I might draw art to celebrate. Ehhh… I don’t like Andi every much. She seems… too middle school thought processed, what with the purple hair and the obvious trying to stand out. I just really hope that they don’t get back together. She’s just too immature looking and having two children in the house seems like a bad idea. 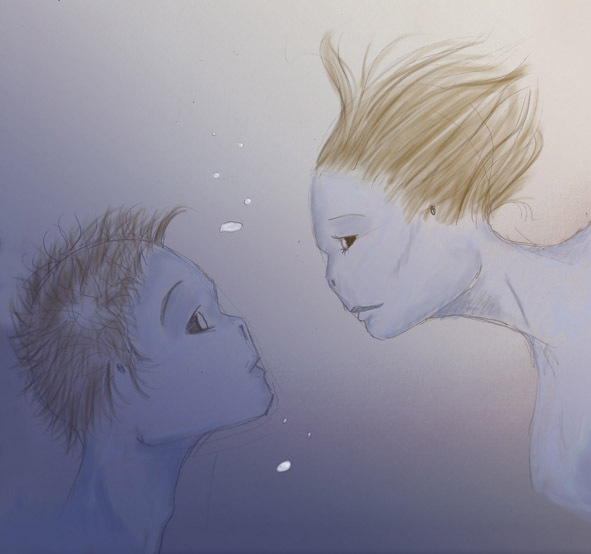 …everytime I read Selkie, it reminds me of this Indy-Game “Aquaria”. OMG One year. I just started reading today. 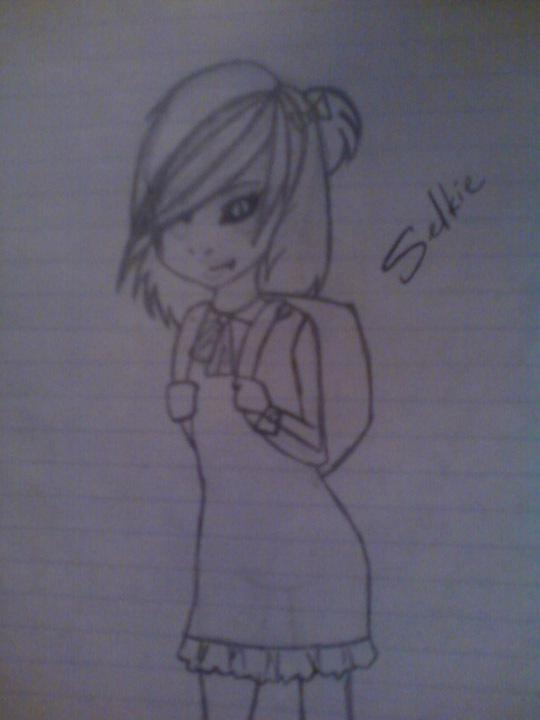 I love Selkie I want to adopt her. Andi looks interesting I can’t wait to see what happens next. I think seeing Andi like this is perfect. It answers so much about why they broke up… (Andi may be a great person, but she doesn’t look like she wants to have her style crimped by kids yet (if ever).) Looks like she hadn’t expected him to go through with the adoption as a single dad! Ha! I pictured Andi differently somehow, but yay, we finally see who she is! Oh, and happy birthday to “Selkie”…yesterday, lol. Here’s to another year! Congrats on the one year anniversary, looking forward to many more to come. Remember to pace yourself. I tried to do a web comic for a while but got behind on the buffer then ran into personal issues with a loved one and my comic just… sort of died. Wish I could have kept it going, but sometimes life gets in the way. Take care. Real Life takes down so many webcomics. If I must be honest, it’s a fear I have had ever since I ran out my buffer. Hope your life issues have been resolved. Great facial expressions in this one. doesn’t hubris mean… Deadly Pride? she’s lucky she didn’t drop her phone in the noodles. That’s what would have happened to me. And the Close the chapter joke was actually literal?